Finding top talent in today’s competitive job market is anything but easy. Even the best HR teams cannot perform well without proper hiring management. Luckily, it can all be much easier with Anomadic, which provides hiring management tools on top of our job board. Job draft – Manage jobs which you haven’t finished or posted yet. Page visits – See how well your job ad is performing in terms of visits. First contact – The number of candidates contacted for the first time. Get a visual representation of your hiring pipeline and establish where each candidate stands in the pipeline and how many candidates made it to the final rounds of the hiring process. At a single glance, you can review all candidate information, such as education, skill set, previous work experience and anything else they’ve added. Furthermore, you can view the assessments and tests they’ve done on the Anomadic platform. This way, you get a great overview of candidates before they’re even called in for an interview. Easily share a candidate’s profile on Anomadic with your team and coworkers in a single click, instead of sending out dozens of documents such as resume and cover letter. If you want to reach out to candidate before taking them in for an interview, you can use the communication abilities of Anomadic and send them a message. The number of applicants you can contact is unlimited, as well as the number of messages you can send out. Anomadic features a calendar within the platform, where you can schedule interviews with candidates and keep track of your hiring pipeline. Schedule as many events as you want! You can use different calendars for different positions and team members. Anomadic is completely optimized for mobile for both candidates and employers. This means that you can take control of your hiring process even on the go. No more countless dashboard, emails, notes, interviews or calendars. 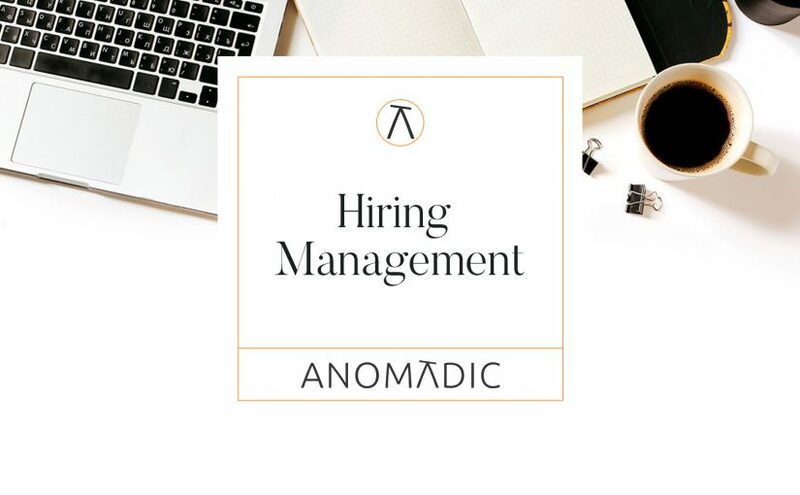 Anomadic’s hiring management platform allows you to control everything from a single user interface, so you can save time and hire more efficiently.